The ExtraCare Unit comprising of 80no. 1 and 2 bed apartments, which is linked with the Community Hub via a double height glazed winter garden which acts as the entry point to both buildings without compromising individual identity. The Dementia Care Building, having 59no. 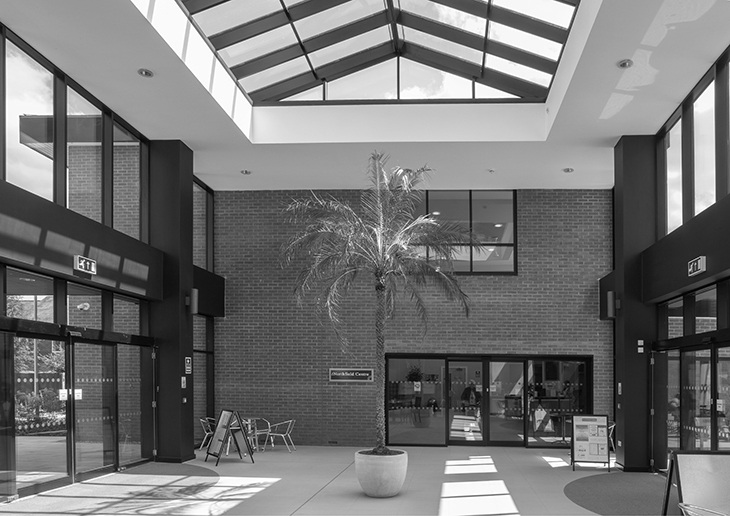 units, provides a visual and physical connection with the external environment and wider community for dementia residents. The building layout was arranged to create a private and secure courtyard garden, forming a barrier free for easy access for residents and their guests only. 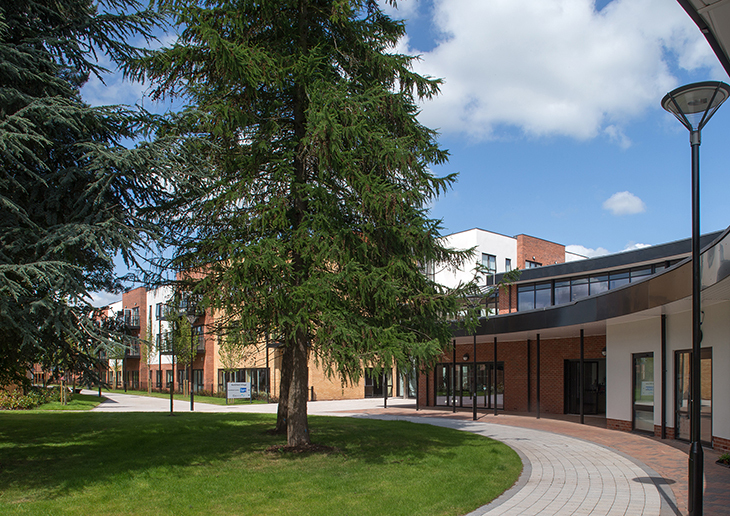 Conveniently located off Stone Road, the Health and Well Being Centre is sited at the entrance to the site. This location is close to existing public transport services and provides the best opportunity for car parking without compromising the master plan concept. To the east of the site, the development included 24no. General Needs Houses, some fronting onto Marston Road and some located on Marston Drive. These were located to address the urban character of this part of the neighbourhood and contribute to the existing context by following the principles of the linear type development of this area. 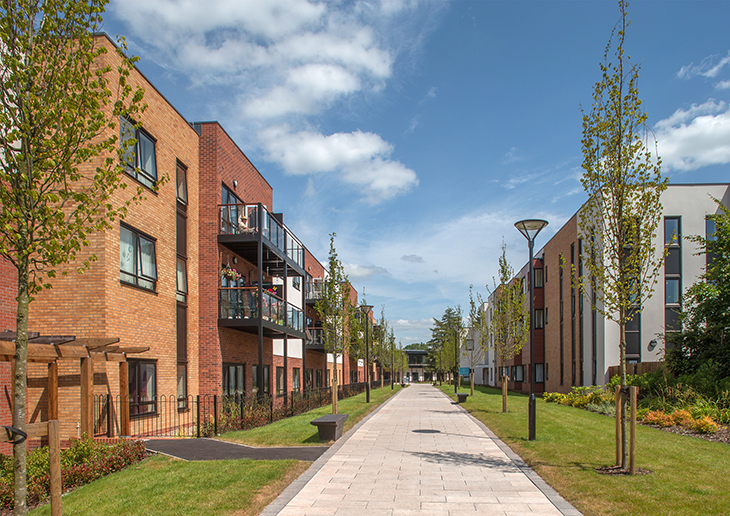 Tucked away in a quiet secluded area of the overall development behind the general needs housing is the Courtyard Housing which provides secure accommodation, privacy and seclusion away from the public glare. The Supported Needs building, comprising of 8no. 1 and 2 bed apartments is located on Marston Drive. The master plan included a renewable energy centre which is located centrally on the site.